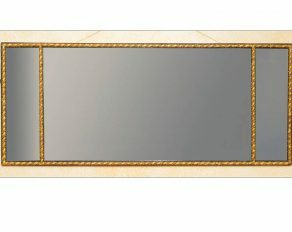 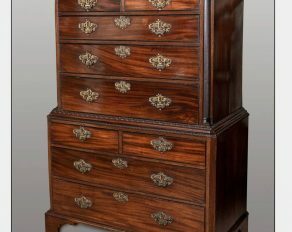 Categories: Chests, Georgian 1730-1810, New stock, Writing Furniture. 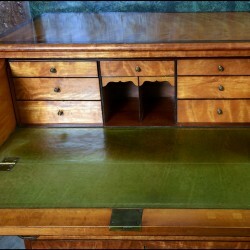 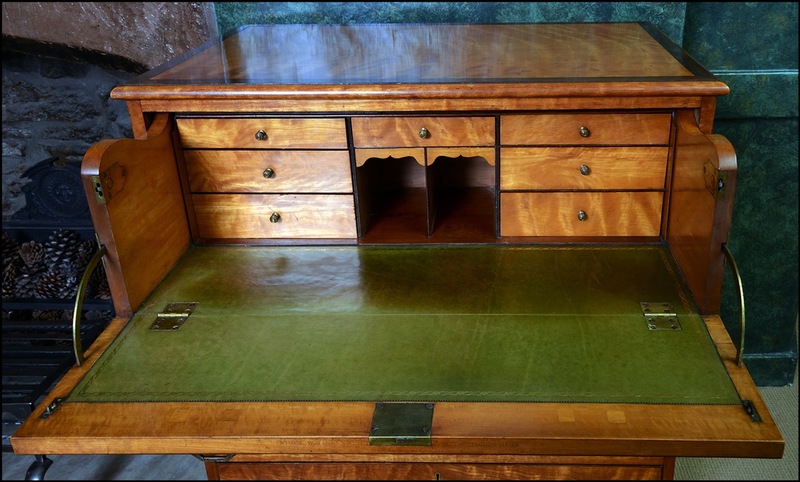 The rectangular top with moulded edge and partridgewood banding above a secretaire drawer, enclosing a leather lined writing surface and interior of pigeon holes with fitted seal rest and two BERRYS PATENT LEATHER CLAD cases inscribed ‘ink’ and ‘light’, over three long drawers all with dark-wood cockbeads, original gilt brass handles and escutcheons, raised on splay feet. 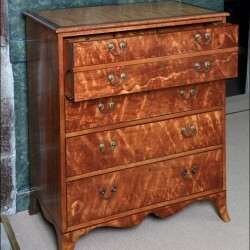 The choice ripple effect satinwood retains a mellow colour. 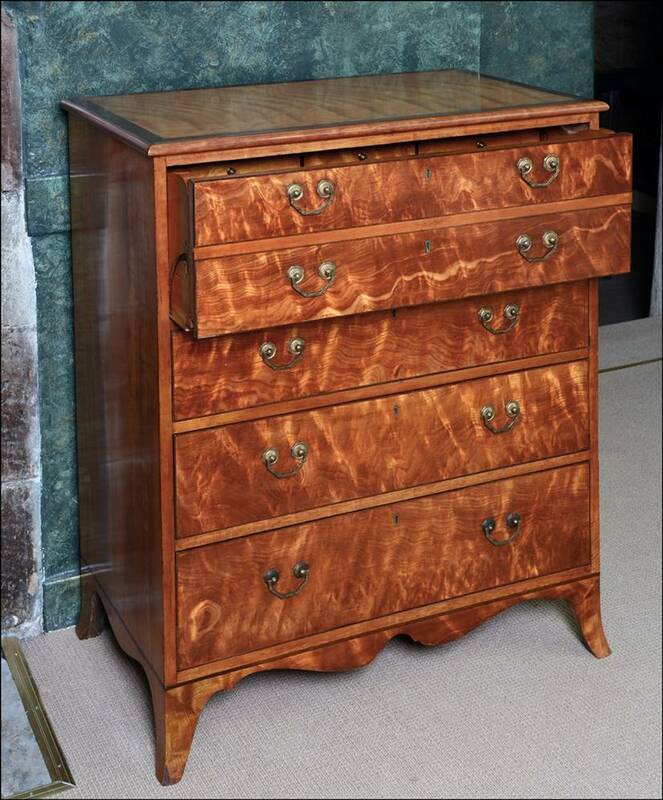 William Williamson & Sons were cabinet makers and upholsterers in Guildford, Surrey (1790 to 1840) At Black Horse Lane, 1790-96 then Chapel St. A number of high quality pieces of stamped furniture have been recorded.